What exactly is the problem? Why does it take too long to get to a signed and executable contract? Is it the time it takes to determine the government’s requirements?To translate those requirements into a statement of work (or similar description) that forms the basis for a solicitation and ultimately a contract? Is it the time for the government to solicit and evaluate bids for that work? To award the contract and get to a start date? To comply with all the procedures and reviews and reports needed along the way? And what exactly is “too long” a time for any or all of those steps? These have been hard questions for federal agencies to answer. Make the data available to the public. Here’s how these three elements will help. First, there needs to be a standard definition in order to collect data uniformly and then track those data over time, which will inform, guide, and calibrate improvement efforts. Some DoD buying activities already gather data on PALT, but the data do not adhere to any common definition nor are they publicly available. Still, such measurements prove the desirability of collecting this information and the feasibility of compliance with the statutory direction. Second, DoD needs to collect data across the department, for all contracts above a certain threshold, whether those contracts are for major weapon systems, research and development of new capabilities, complex engineering services, commercial innovative technologies, or simply off-the-shelf purchases such as furniture repair or jet fuel. A broad approach to data collection will help ensure that efforts to reduce acquisition cycle times are focused on widespread challenges, not just a specific problem with a particular contract, type of purchase, or single buying activity, although each sector may have unique issues to address. Third, DoD needs to consolidate and report publicly on the data collected to identify the key elements in the acquisition process that contribute most to long procurement times. Commonly defining lead time, collecting data, and providing public access to collected data have value far beyond mere compliance with the new law. Measuring PALT is not an end in itself. 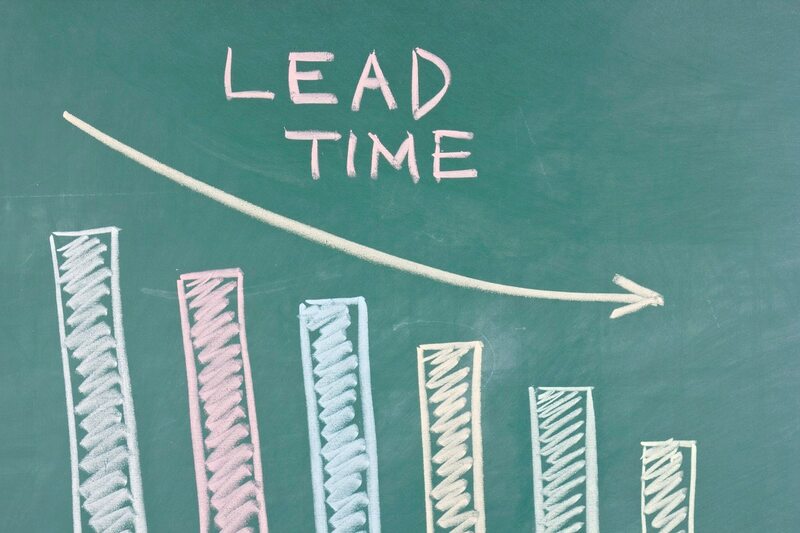 Equally importantly, defining and measuring procurement lead time is necessary to provide a focus for efforts to take less time to award a contract and provide the requested goods and services to the user. In short, the objective is that DoD needs to streamline its buying processes and reduce PALT. DoD’s current leadership is committed to this objective, and more; Ellen Lord, the under secretary of defense for acquisition and sustainment, stated publicly her intent to reduce the time to “get on contract by 50 percent.” Subsequent public statements by senior DoD officials make it clear they believe that the best way to achieve this is for DoD to measure and reduce the time between determining the requirements (what is it the government needs to buy) and the awarding the contract, and PSC agrees. While her timeframe is broader that the phases covered by Section 886, it is properly where the focus must be. Focusing merely on the interval between contract solicitation and award will unnecessarily limit the potential gains from reducing PALT while failing to address the whole problem. How hard will this be? Extensive data on contracts are collected already in the Federal Procurement Data System, or FPDS, but not data needed to meet either the narrow dictates of section 886 or the more comprehensive set identified by Under Secretary Lord, including the date at which a requirement is determined, the date of the solicitation release, the dates proposals are submitted, or extensions issued that postpone proposal submission or require multiple submission, and finally the date of award. All of these incremental phases are important because DoD (and other agencies) may ask bidders to extend the validity of their bids for months or even years before an award is decided. Adding these new data fields to FPDS will give DoD and all stakeholders the information needed to see where the time to contract is spent. Having these data is the only way DoD can establish a baseline of current PALT or measure progress to reducing it. On February 9, DoD solicited public comments on their plan to implement Section 886, including focusing on the key elements of the definition and on the FPDS data collection provisions, and PSC submitted comments March 12 in support of the implementation of the statute and DoD’s strategy, including collecting greater information on earlier phases of the procurement lifecycle as Under Secretary Lord proposed. Ultimately, the DoD acquisition systems must align requirements, resources, and contracting. Defining, measuring, and using the data to focus on efforts to reduce PALT will go a long way toward meeting Under Secretary Lord’s goal of reducing by 50 percent the time to “get on contract,” and the nation’s security will reap the benefits. But we should not stop there. 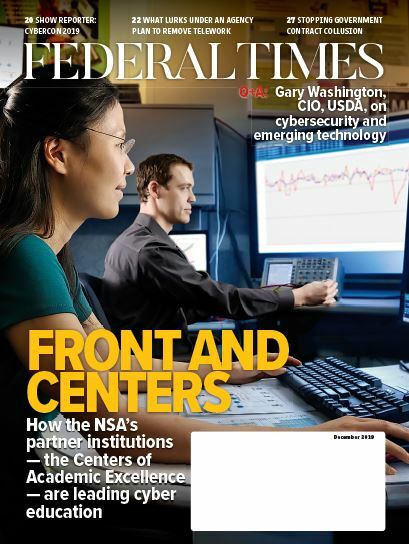 While Section 886 applies only to the Department of Defense, civilian agencies face PALT challenges and a similar lack of uniform metrics and data collection tools. PSC is working with Congress on a legislative requirement for the civilian agencies that mirrors the DoD requirement in Section 886. We urged the acting administrator of the Office of Federal Procurement Policy in OMB to support speedy acceptance and implementation of the DoD request for a revision to FPDS to allow DoD to use that governmentwide system for collecting its data, and encourage all federal agencies to begin capturing PALT data now, using the common definition provided for in statute. We also encouraged OFPP to task the agencies to start tracking PALT earlier in the acquisition lifecycle than release of the RFP, aligning more closely with Under Secretary Lord’s initiatives. Governmentwide success will bring benefits to all acquisition stakeholders. David Berteau is chief executive officer of the Professional Services Council. He previously served as assistant secretary of defense for logistics and materiel readiness.